“When I saw those clips, and when I read them I thought, this is fantastic. It has to live longer than between the two paper covers of a magazine. So I thought, well what can we do? How can we gather these?” Blakely said. Blakely, an associate professor emerita of magazine journalism, contacted students that she taught to see if they had pieces they were willing to contribute to the book. “I said ‘send me the piece that you’re happiest to have written, or that you feel proudest of having written’ and we started getting these pieces in and they told each other and more told each other. So, there was one point where we had more than 500 essays that we had to sift through and choose from and it was very difficult because they all could live longer than a magazine lived,” Blakely said. The gathering of these stories took over six years. When the workings of the book started coming together, Blakely started thinking about who would want to read a book on writing by writers. “I thought, anybody who reads magazines would be interested in reading the best of magazines. And then I started thinking, if you’re a writing teacher, whether you’re in an institution like MU or the J-school, or whether you’re in the community teaching a community of writers, writers always love to read good writing because it makes us pay attention to what makes good writing. So I thought of it as a general reading audience first, and then I thought of it as a writing book that could be useful,” Blakely said. The pieces and essays in the book showcase a range of experience and subject matter, but one piece stands out to Blakely. “Shane Epping’s essay is one that really stood out for me because he was first a photographer, and then a writer, and I think he’s equally good at both. He describes in this book about learning when his wife was in their first pregnancy, that [the baby] had a birth defect that was probably going to mean that she wasn’t going to live longer than six weeks. He wrote about that, and of course his feelings about it were still so raw, but he was able to capture the poignancy of that moment,” Blakely said. However, Blakely believes that all of the essays bring new perspectives and ideas on the concept of writing. “There are so many essays in the book, I could look at each one of them, because of course we spent a long time on each essay, and say, ‘I’m so glad I have that in the book,’” Blakely said. 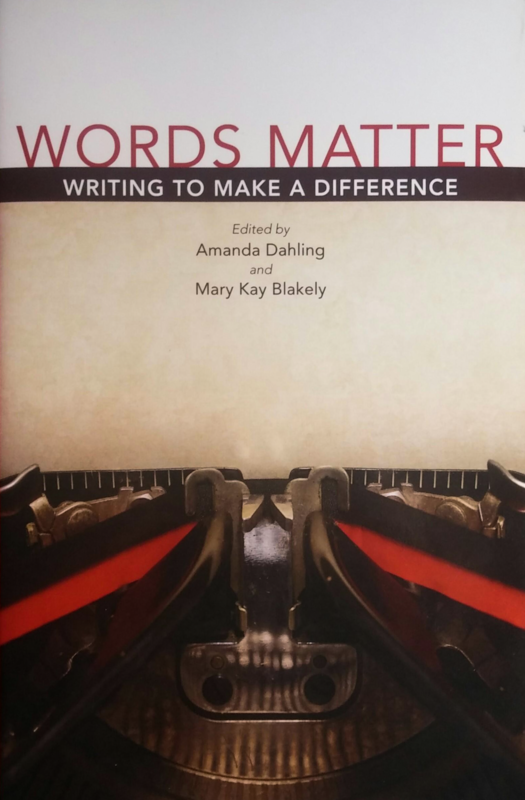 This week on Intersection, we’re talking about a book called Words Matter: Writing to Make a Difference, which is published by the University of Missouri press. It’s an anthology of journalism and essays written by Mizzou grads, mostly from the journalism school. There are also a bunch of presentations going on this week, where students and members of the public can talk with writers about – what else – writing. There’s information about those sessions at the Words Matter website. Today on our show we’ll talk with magazine journalist, professor emerita and an editor of this book Mary Kay Blakely about how and why she took on this monumental task. We’ll also talk with Lois Raimondo and Shane Epping, two extraordinary journalists who contributed their writing, and with student Ginger Hervey, who has been working on this collection since her freshman year. Journalist Nikole Hannah-Jones is a seasoned investigative reporter covering policies and politics that maintain segregation. She currently writes for the New York Times Magazine but has written for ProPublica, Politico, The Atlantic and this American Life. 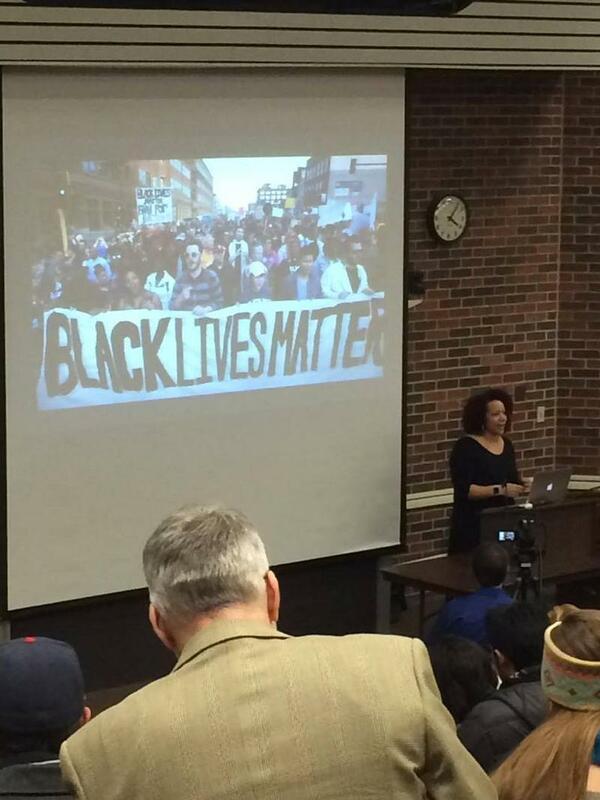 Her reporting has won several national awards and Tuesday, she was at the Missouri School of Journalism.